Time to harvest apples and pears! Dekalb came over today to pick apples and pears in my neighborhood. 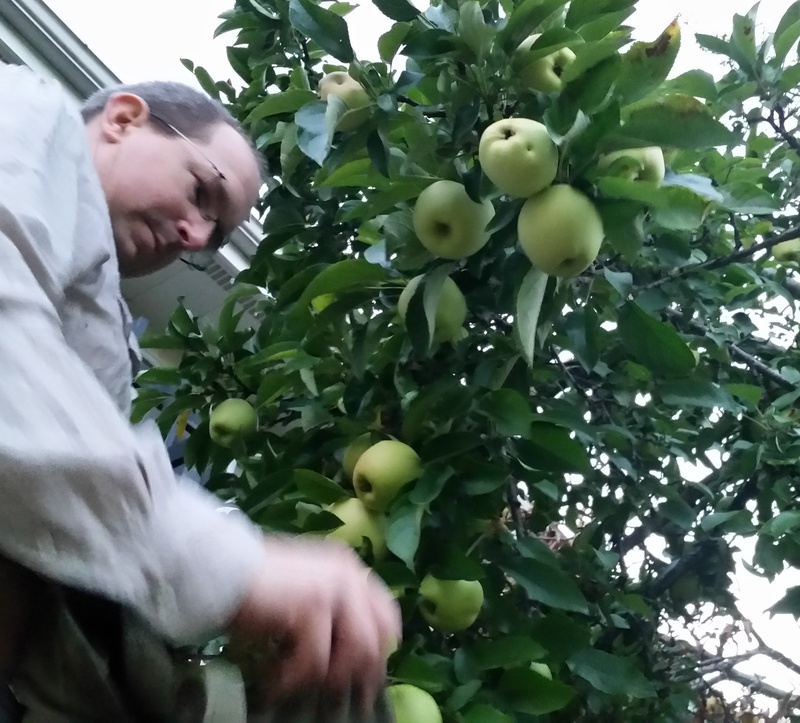 There’s just one pear tree in the neighborhood, and all pears within reach of the ground had already been picked by others. We use a ladder and a picker pole to pick the rest. We got about 20 pounds. 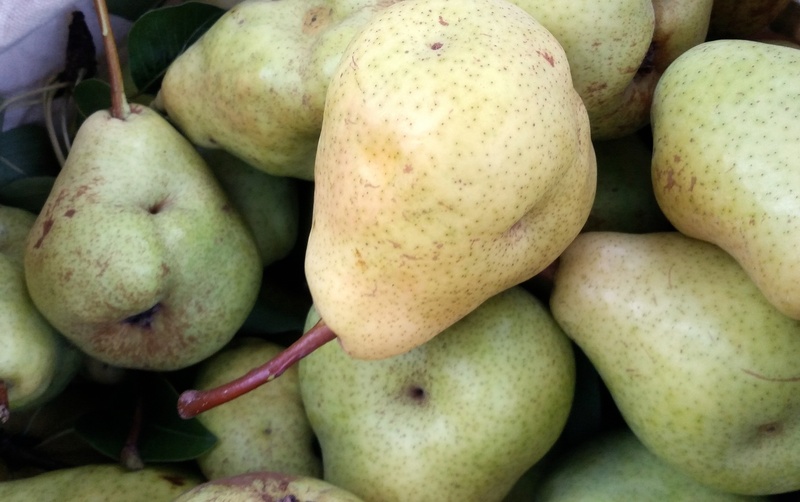 I set aside a few for snacking, but since most of them are knotted, I’ll be doing a bit batch of pear sauce, which I love to use in making blender ice creams. The apples were much more plentiful. 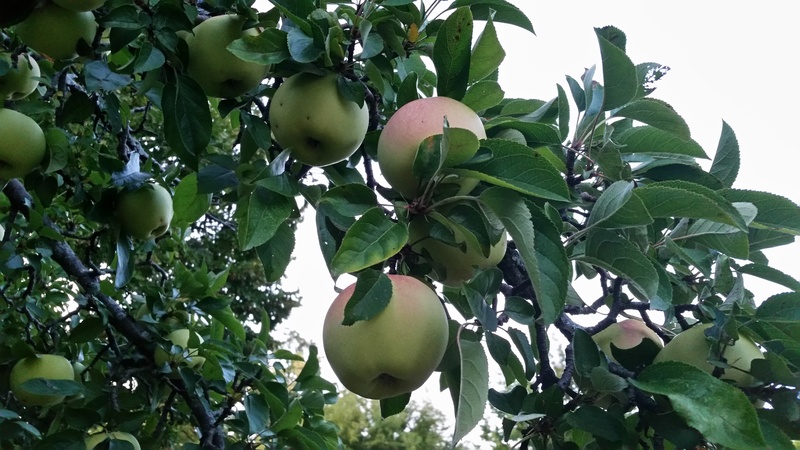 We picked two or three bushels before the sun went down – some tart red apples with crispy flesh, and others that look and taste like golden delicious. 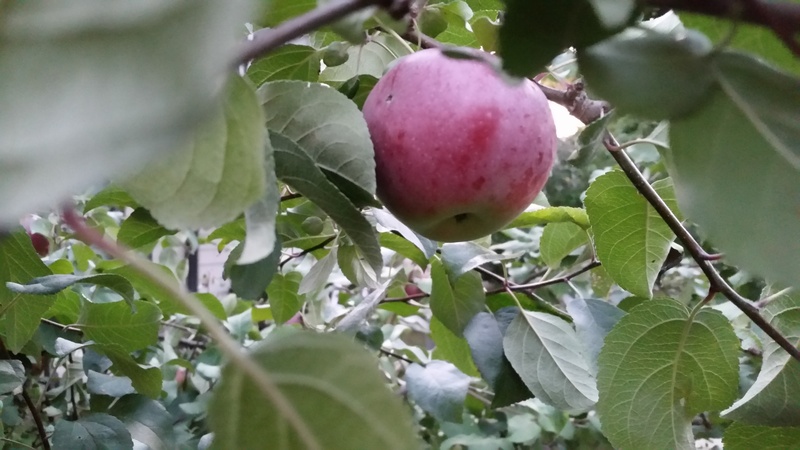 The red apple tree was easy picking – the tree isn’t much taller than six feet, and it was covered with apples from top to ground – in fact, some were so close to the ground that they were bruised from being run into with a mower. In previous years I’ve only picked up a few apples from it, but they seem like they’ll make good sauce. I’ve been picking from the golden delicious tree for a long time. In past years, I’ve peeled and dried the golden delicious and used them throughout the year in my morning oatmeal. I plan to do the same this year.